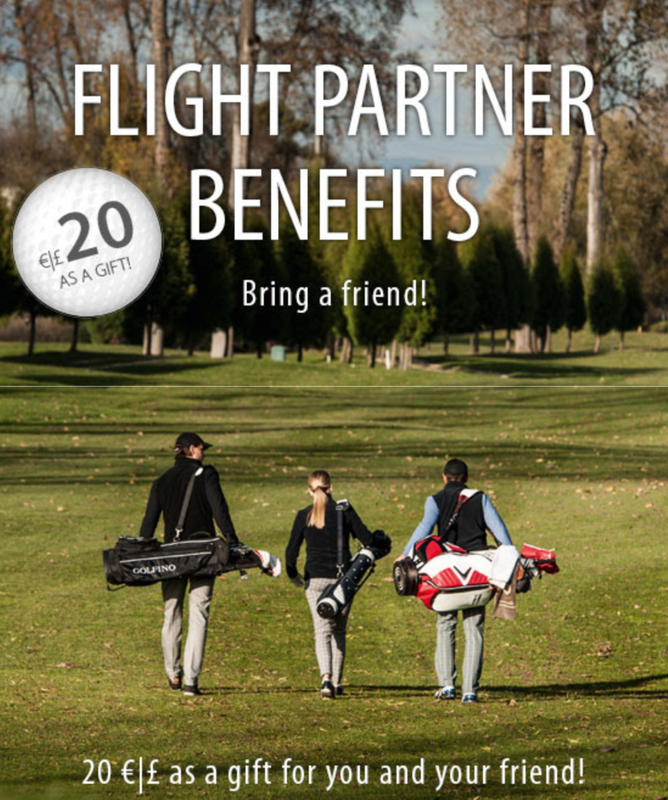 Golfino - Bring your Flight Partner: 20 € | £ as a gift! 20 €|£* shopping voucher for you as a gift, if your friend will purchase and register as a GOLFINO club member. 20 €|£* as a welcome gift for your friend on his first purchase. We look forward to welcoming you and your friends in our Stores and Factory Outlets!